In its pre-election budget address on April 27, 2017, the Liberal government announced get underway within weeks. Yesterday (Aug 30) the government announced the review is beginning, that it would be headed up by University of King’s College President William Lahey and that it would take place in three phases with a final report on February 28, 2018. 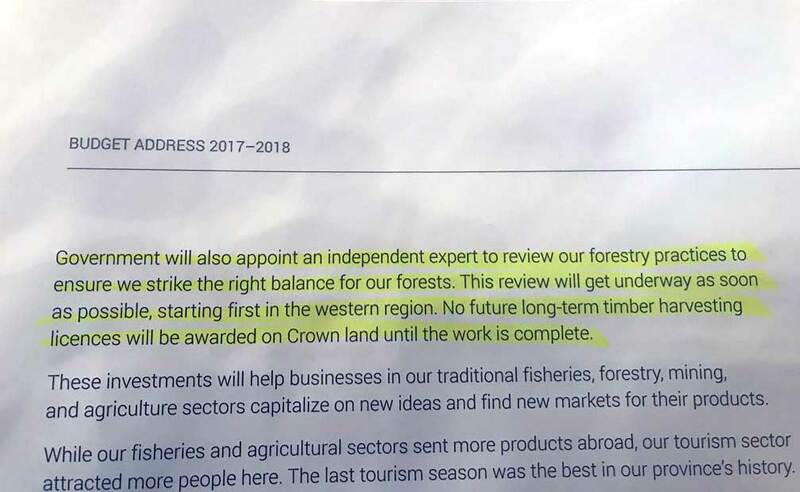 You may contact the forest practices review by sending an email to forestryreview@novascotia.ca. Please note that you will receive an automatic response thanking you for your email. Your correspondence will be forwarded to Professor William Lahey for his consideration.